Published May 1, 2013 at 2235 × 1492 in Samples of Our Work: Paintings. 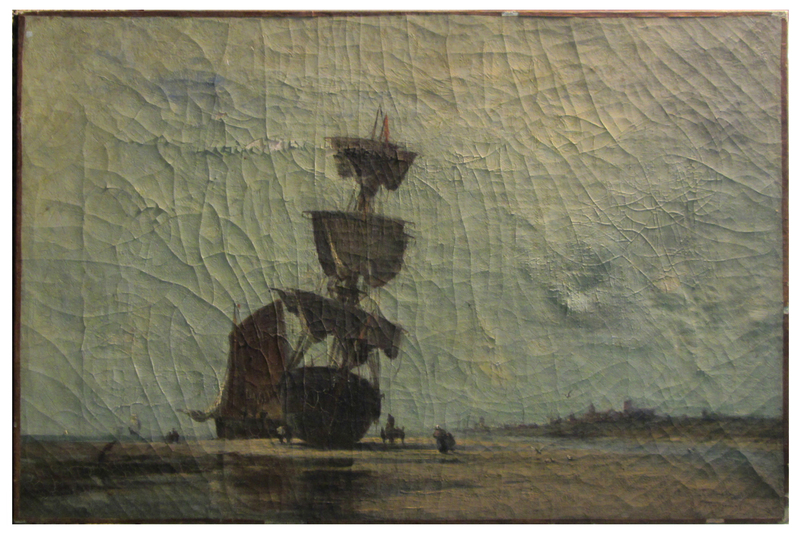 This oil painting had an old, yellowed varnish layer that obscured the original colors and details. The paint layer was very fragile, with unstable cracking that had already led to some losses. A strong side light in this image shows the extent of the cracking and surface distortions.